David Wallace-Wells’ 2018 article The Uninhabitable Earth became a sensation almost as soon as it appeared, quickly becoming the most-read piece ever to appear in New York magazine. Since then it has been read by millions more, giving the lie to the belief that climate change is of negligible interest to the lay reader. But the article also attracted some criticism for its supposedly ‘alarmist’ tone. The argument went that ‘alarm’ and ‘panic’ are paralyzing emotions and can be politically counter-productive. In my view the criticism was misplaced, for the simple reason that the political effects of alarm or fear are impossible to determine with any accuracy. Academic studies of this subject have come to widely varying conclusions. For my part I thought the article was well-researched, well-timed and very well-written, so I welcomed the news that it was to be expanded into a full-length book. Having read a proof copy I am all the more convinced that Uninhabitable Earth is a book that everyone should read. 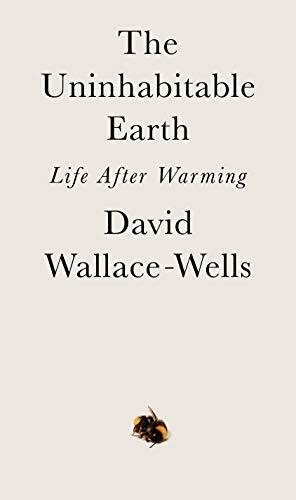 This gripping, terrifying, furiously readable book is possibly the most wide-ranging account yet written of the ways in which climate change will transform every aspect of our lives, ranging from where we live to what we eat and the stories we tell. The Uninhabitable Earth: Life After Warming, 2019.